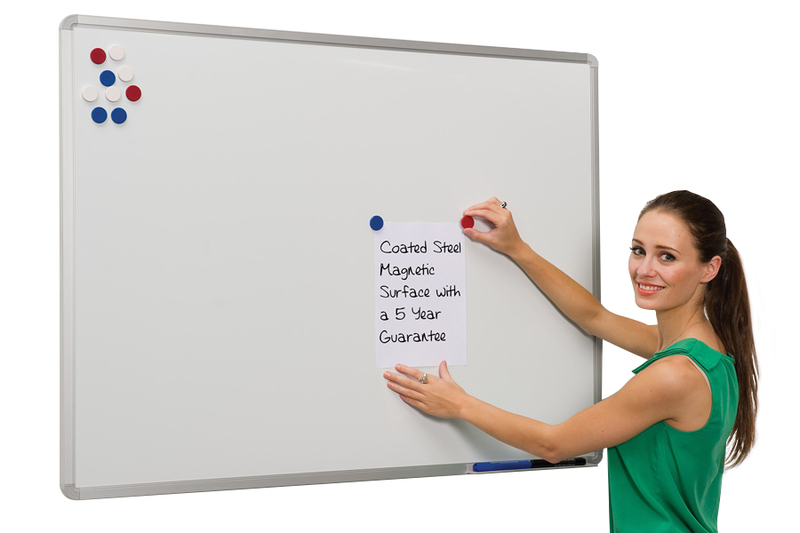 Ideal for classrooms this writing board has a dry wipe single-sided magnetic whiteboard surface. It comes in a choice of 6 sizes and can be hung in either a portrait or landscape orientation. This whiteboard has a satin silver anodised aluminium frame and colour-related pen ledge. It is wall mounted with fixings included. The colour co-ordinated rounded corners conceal the corner fixings. The magnetic coated steel surface has a 5 year guarantee.